The Cultural Heritage Festival’s goal is to explore and exhibit the various art forms that depict the West Coast Culture. By creating opportunities for interaction and cross-cultural understanding among the residents and visitors, we can share knowledge of the region’s culture and history. 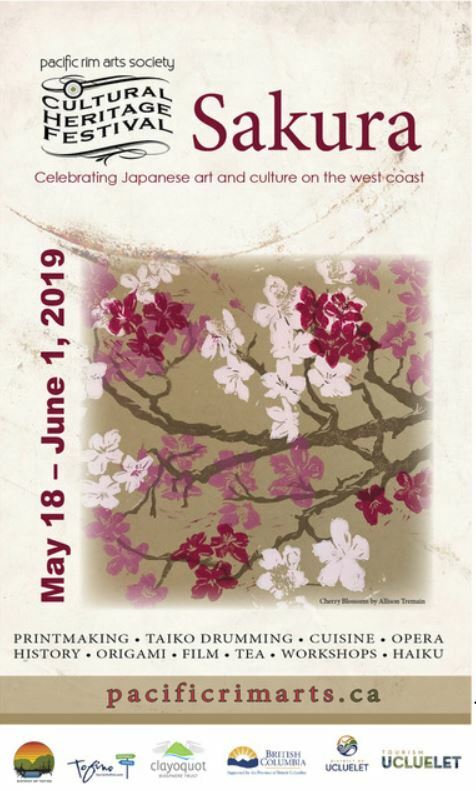 Pacific Rim Arts Society will be presenting the local rich JAPANESE CULTURE as their upcoming theme. More details to come!